Despite the huge range of options available, there's something on every trailer that's less than ideal. By making your own trailer, you have the opportunity to tick every box. It comes as no surprise that the best trailers (think Track, Kimberly, Ultimate etc) are expensive. You get what you pay for though, and trailers like those demand a lot of investment in R&D, quality components and labour costs. If you have the time, you can save those labour costs by building it yourself. Many people -including me- enjoy the challenge and satisfaction that comes from doing something yourself. Of course you also suffer the responsibility if it all goes wrong. The design of your trailer isn't something that should be rushed. With your list of requirements, take a look through some of the camper-trailers that are already on the market, and see if some design ideas can be combined or modified to incorporate the features that are missing from your lists. That makes a good starting point for your trailer. You can design on paper, or use one of the many CAD software packages now available, such as TurboCAD or Sketchup. If you'd like to duplicate my trailer, you can find links to download the CAD files at the bottom of this page. 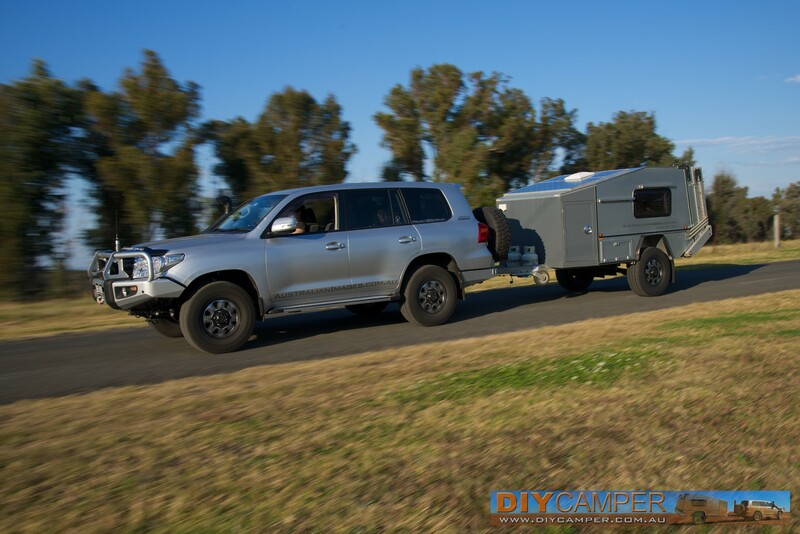 Once you have a basic design in mind, show it to friends, especially anyone with experience in manufacturing and people who already own camper trailers. There's a good chance they'll come up with ideas and/or problems that you hadn't thought about. Part of the design process must include items like suspension, wheels/tyres etc, because the specifications of these items will affect the chassis and body design. I wanted a hard roof over the main bed, a hard floor for the tent section and plenty of storage. With a rough idea in my head of the basic design I wanted, I began working out some shape, sizing and materials. I decided to go with a steel chassis for strength, with an aluminium body to save weight. Ideally, the track of the trailer would match my (then) 105-series Land Cruiser, and also share the same wheels/tyres so the spares were interchangeable. For suspension, I wanted independent with shock absorbers. I was initially thinking of coil springs, but decided to go with airbags to ensure the trailer rode well, whether it was laden or unladen. Knowing the specs of the wheels/tyres and suspension, I could aim for a chassis height of 500mm, which was about the towbar height on my Land Cruiser. I also wanted to keep the overall trailer height about the same as my 'Cruiser (fitted with roofracks). With the chassis height and overall height roughly known, I could then plan the layout of the interior, setting a bed height that gave sufficient clearance underneath for a slide-out kitchen and under-bed storage, plus sufficient room above the bed to be able to sit up comfortably. The wheel track of the 'Cruiser meant I could set the body width of the trailer at 1800mm, which accommodated a queen size bed. I wanted a large storage area at the front of the trailer, with sufficient space for my 60-litre Trailblaza fridge plus a small microwave on the left side, and more general storage on the right side, where I planned to stow a generator, tools and other bits and pieces. A second opening on the right would provide access to the electricals, battery etc. Coming up with a budget and timeframe are important parts of building a trailer. As you go through the design process, research the prices of the components you plan to use so you can refine your ideas and get the best value for money. Construction materials (such as steel and aluminium) are best sourced from major merchants, while smaller hardware and electrical components (such as tow hitches , gas struts , batteries etc) are usually cheapest online . In the case of my trailer, I started with a budget (in 2009) of $15000, which proved to be quite accurate. Of course, that figure doesn't include time. Although I didn't keep track of every hour I spent on the trailer, it took about six months from start to finish, working one or two days a week. There is a national standard for building small trailers (anything under 4.5t ATM), so your first step should be to download VSB1 from Infrastructure Australia here. It provides invaluable information about the legal requirements for trailer construction, incuding dimensions, weights, lighting, brakes, axles, tyres etc. 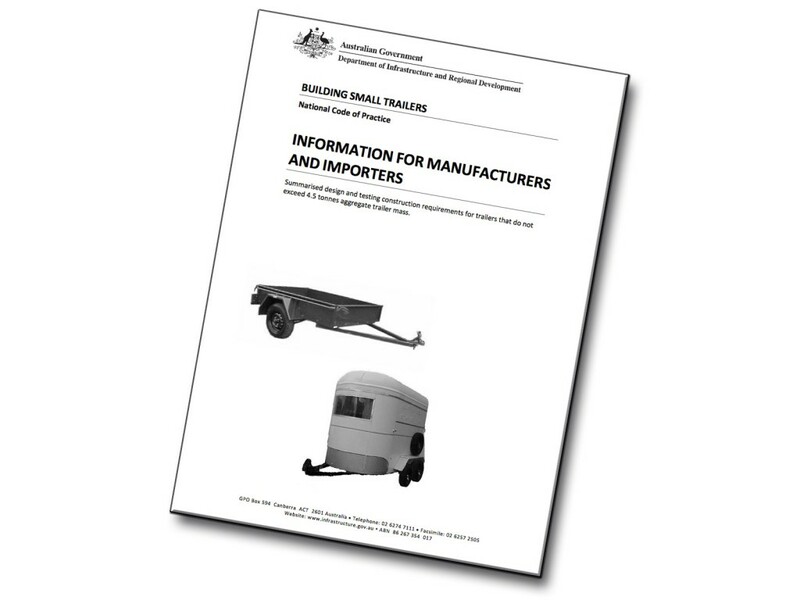 Everything you need to know to ensure your trailer can be registered for use on Australian roads. There is generally no legal requirement to have a home-made trailer certified by an engineer, however it's a good idea for your own peace of mind and to manage the liability risks, should you be involved in an accident caused by a failure of your trailer. You may also need an engineers' certificate to obtain insurance for your trailer. 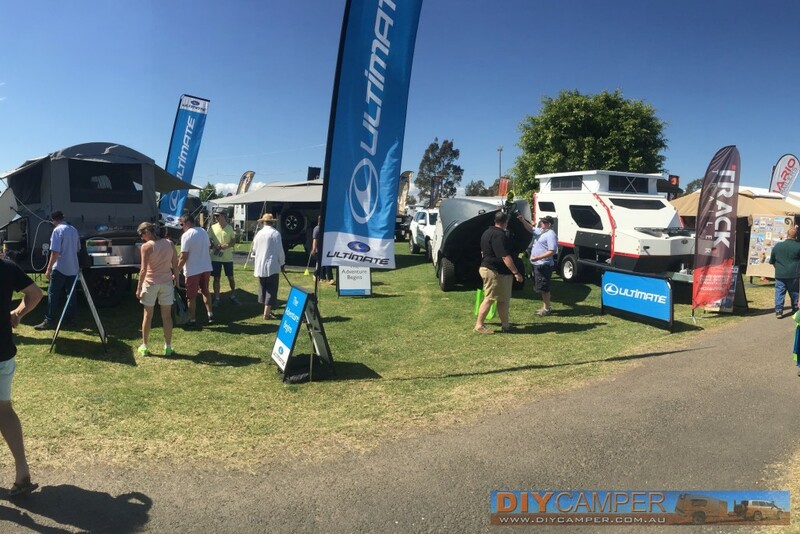 Each state and territory has a list of approved engineering signatories for light vehicles: NSW, VIC, QLD, SA, WA, TAS, ACT, NT. Dealing with camper-trailers and caravans specifically, remember that any 240-volt wiring needs to be completed by a licensed electrician, and any gas plumbing by a licensed gasfitter. Although the original drawings for the camper are long-gone, I've spent some time re-creating them to scale in Sketchup CAD software. The chassis files are dimensioned, but the body files are not. They are to scale though, and you can check any required dimension within the CAD software. The CAD files can be downloaded and used to build your own trailer if you wish. The files can be used as-is, or modified without restriction. I've provided standard Sketchup versions, and also exported as AutoCAD DXF depending on the CAD software you are using. The CAD files are free to use and modify for any personal purpose. If you do find them useful and would like to contribute something, you can click the donate button below, but please do not feel obliged to do so. Please note that the files cannot be used commercially without express written consent. Please contact us for more information. Update 17 May, 2017: The body CAD file can now be downloaded in a zip archive. Please check the READ ME file that comes with the Sketchup file. Sketchup for Dummies by Aidan Chopra Paperback Book Free Shipping!